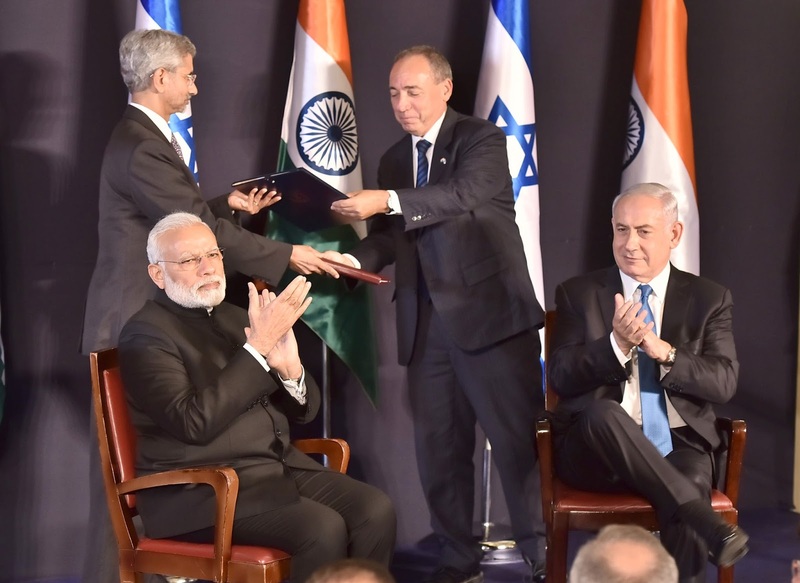 New Delhi: The Prime Minister Narendra Modi presented Prime Minister of Israel Mr. Benjamin Netanyahu replicas of 2 sets of relics from Kerala that are regarded as key artifacts in the long Jewish history in India. The second set of copper plates is believed to be the earliest documentation of the history of Jewish trade with India.These plates describe the grant of land and tax privileges by the local Hindu ruler to a church and oversight of trade in Kollam to West Asian and Indian trading associations. West Asian association included Muslims, Christians, Zoroastrians, as also a group of Jews who signed in Judeo-Persian and possibly also in Arabic and Pahlavi (Middle Persian). The plates bear their signatures that appear to have been cut into the plates by a local workman unfamiliar with the script. The replica of these plates was made possible with the cooperation of Malankara Mar Thoma Syrian Church in Thiruvalla, Kerala. In addition, Prime Minister also presented PM Netanyahu a Torah scroll donated by the Paradesi Jewish community in Kerala. Handwritten over a hundred years ago, the scroll had been dedicated to the Paradesi Synagogue in Kochi that had been built in 1568. The Torah is enclosed on wooden staves in a wooden case adorned with silver sheets and a metal crown covered in gold sheets in floral ornament style, bearing motifs typical of lamps and decorations of south India.